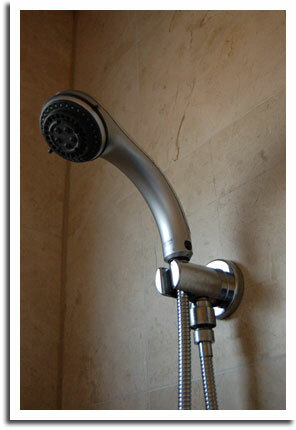 If you are remodeling a bathroom, your contractor may ask you how high you want your shower head. The first time I heard that question, I thought there must be a standard height, right? But, everything being “custom,” I had to come up with an answer. Of course, the height of the persons that will be using the shower is one factor. Another factor is the type of shower head. A fixed shower head sprays at one angle and height. A hand-held shower head sprays at a different angle and height. If you do not account for that difference and mount the hand-held shower head at the same height as a fixed shower head, your hand-held shower head just might spray the water over your head. Nice point to consider, offenly we miss this point at time of renovation of bathrooms. As a standard height it should be between 68-70 inches, which is suitable for both people whose height is more or less than 6 feet.